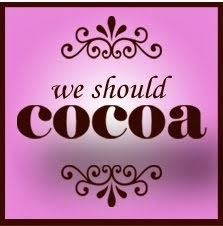 This month, We Should Cocoa has joined forces with Random Recipes. 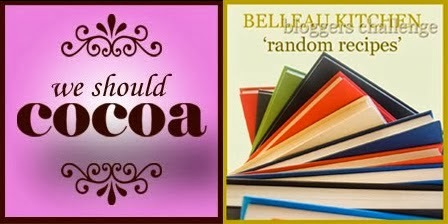 You can check out both challenges and how to enter here for We Should Cocoa and here for Random Recipes. The premise is that you select a random cookbook, select a random page and cook it, this time with the added caveat of chocolate. I divided mine between sweet and savoury and landed on this beast which I bought from an Oxfam bookshop in 2006. You can see the last We Should Cocoa round up here. And subsequently landed on the offering of page 91 - Magic Chocolate Mud Pudding. There is nothing magical about this pudding. Maybe it could be renamed Hot Mess Pudding. Because that is what I was left with after cooking it. It doesn't have many redeeming features. It's supposed to be one of those self saucing puddings but the sponge to sauce ratio is awful. This a crime against my people. You find an adequately sized oven proof dish which you know is adequately sized because you actually bothered to measure it. You then make a very liquidy batter made of butter, light brown sugar, milk, cocoa powder, flour and cinnamon and then sprinkle over a combination of cocoa powder mixed with more light brown sugar. The last part of this is important to note. We then stick on the rest of the milk and put it in the oven. The recommended cooking time for this is 45 to 50 minutes. No lie. I actually cooked mine for less. And I still ended up with this. I seriously want you to make eye contact with this. Look at that delicious *gulp* looking monstrosity of burnt sugar mixed with cocoa on top. Look at how it has spewed over the edges of your oven proof dish despite it being adequately sized which you know because you measured it. Do you see sauce? No. No, you don't. The sauce is a lie. The recipe calls for one whole teaspoon of cinnamon. Which you think might give it some flavour but again, no. The sponge part could have been redeeming but it wasn't rich or even "luscious" as the book states. I thought I had ballsed up* (*technical term) the recipe. Missed an egg or more butter but I genuinely didn't. In the dark days of winter self-saucing chocolate puddings have often cheered me up in a big way. They've never looked like this, though. 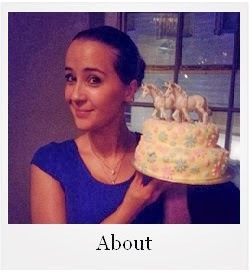 I think you could be yet another victim of a lack of proofreading in recipes. Maybe that's why the book was in Oxfam. Christine France was also one of the authors of the Emmerdale cookbook and I've always hoped to come across a copy of that in a charity shop - no luck so far. Phil, it was so awful. If you know/have a good recipe for a self-saucer then I think I need to restore my faith in them. Thank you for your comment, and good luck looking for the book! Thank you, Choclette. I put the book in the cupboard under the stairs - I hope it learns its lesson from being in solitary from the rest of the books. I may use this recipe for our next Halloween dinner party. I think I will call it "picked scab pudding". And then serve up something else for people to actually eat.